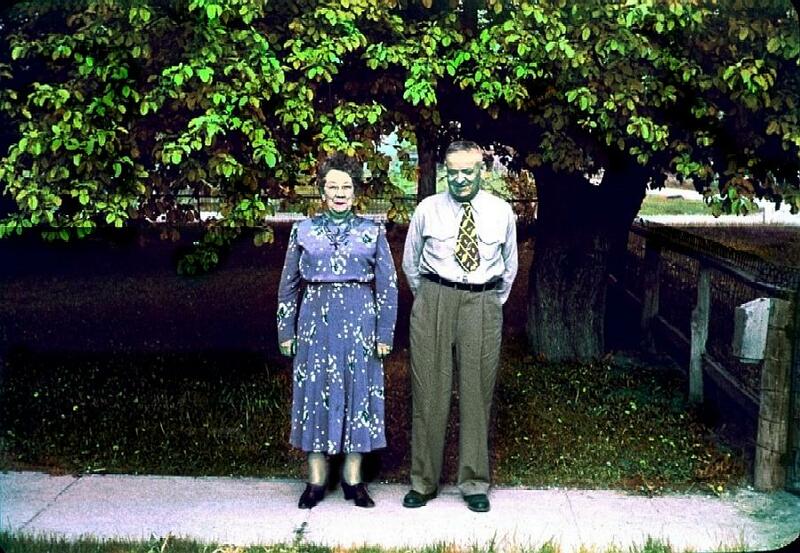 Comments: Abraham Jr. James Bowers (Nee: Bigler) | Nephi UT United States | 1941-1960 | Comments: Abraham James Bowers Jr. and his wife, Beryl Bigler Bowers in front of their home in Nephi, Utah circa 1950? This was an original color slide taken by their son in law Pat Whittington. The Agfa film deteriorated to pure magenta, so I have 're-colorized" this myself.